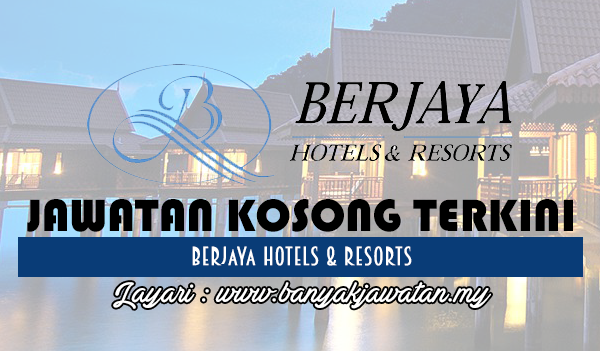 Berjaya Hotels & Resorts is a member of the Berjaya Corporation Group of Companies, a public listed Malaysian conglomerate. Presently, the group manages Berjaya properties in Malaysia, Asia Pacific and UK. From the exotic island resorts of Tioman, Langkawi and Redang to the city hotels of Kuala Lumpur, Johor Bahru and Penang, Berjaya Hotels & Resorts’ prominence in Malaysia is further enhanced by the establishment of international hotels and resorts in Philippines, Seychelles, Sri Lanka, London and Vietnam. Berjaya Hotels & Resorts also owns properties which are managed independently by established hospitality brands such as The Sheraton Hotel Hanoi Intercontinental Hanoi Westlake, both in Vietnam and The Four Seasons Kyoto. The group also owns and operates a commercial airline, service suites and exclusive golf & country clubs in Malaysia. 0 Response to "Jawatan Kosong di Berjaya Hotels & Resorts - 24 November 2017"